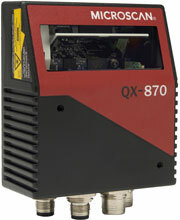 he Microscan QX-870 features aggressive decoding capabilities that allow reliable reading of barcodes out to 30" (762 mm), at up to a 10" (254 mm) beam width. 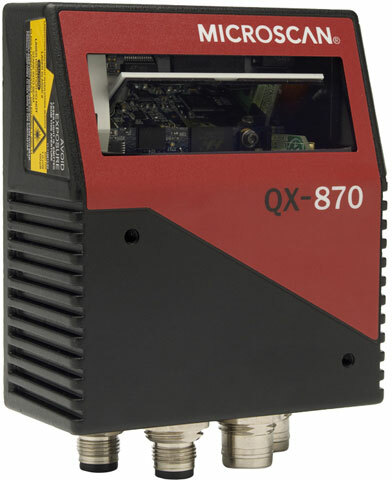 The QX-870 uses Microscan's Quick Connect System, with M12 Ultra-Lock connectors and cordsets for plug and play setup in single or multi-scanner solutions. The Microscan FIS-0870-1005G is also known as Microscan Systems	FIS-0870-1005G	or FIS08701005G	.